Artificial intelligence is disrupting the way enterprises innovate and communicate with their products, services, and processes. In fact, by 2021, Gartner projects that 40% of new enterprise applications implemented by service providers will include AI technologies. 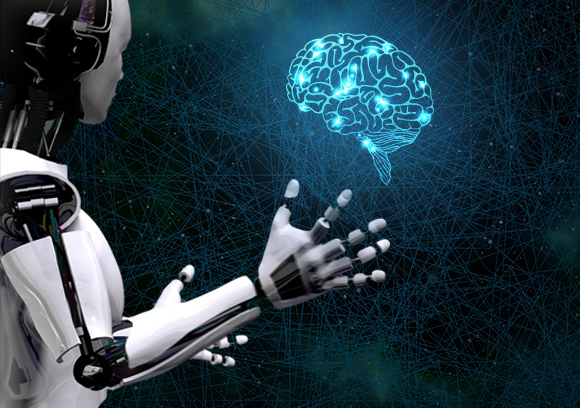 A lot of early adopters of artificial intelligence, such as Facebook, Microsoft, Google etc have gained positive outcomes for their products and processes as well as their employees. However, AI technology without cognitive computing will not be that smart. Artificial intelligence uses technologies such as machine learning, NLP, neutral networks and deep learning to solve problems; all of which is based on training algorithms. Cognitive computing on the other hand, aims to solve problems by creating alogrithms that mimic the way a human brain works - by thinking, remembering, and reasoning. In this webinar, you will find out how enterprise AI and cognitive computing together help in discovering solutions for data-intensive tasks. Question 1: Are all your bots built on the Bot framework? How do you meet the drawbacks of some unsupported features on the Bot framework? Answer 1: Most of the bots we have developed are custom built for enterprises using various tools/ frameworks that suits the requirements best (viz., MS BOT Framework, IBM Watson, wit.ai, api.ai, etc.). In fact we also have our own bot development platform “Alan” that can be leveraged for creating ready-to-use bots. At times, when we find that a certain framework doesn’t have any feature support our bot experts also build required APIs for easy integration. For example; when there was no support for Skype for Business (on-premises) we built a middleware/ connector to provide support and integrate it with the client’s existing environment. We also have a chatbot development package that decision makers can refer to if they are already planning to build a chatbot. It will give you a general guideline on our implementation approach. Question 2: What is the cognitive backend service you are using for the image analyzer bot? Answer 2: We have used computer vision from cognitive services and then we have used analyze endpoint for having access to the data. Question 3: How is cognitive AI different from AGI? Answer 3: Artificial general intelligence (AGI) is the concept of building intelligent systems that can perform any task that a human can do without being specifically trained for it. Many organizations are working on building an AI system that can work on this principle but as of now, such systems exist only in the realm of science fiction. Cognitive AI on the other hand is available right now. This term refers to the commercially available cognitive APIs, which can be used by third-party application developers to infuse intelligence into their systems. Question 4: How can AI be used to counter traffic congestion? Answer 4: An AI-driven traffic management system will need many sensors and cameras installed at all the traffic lights throughout the city. This will enable the system to learn how and where the congestion is happening. The system also needs a central AI algorithm that will carry out the analysis. Question 5: How are chatbots different from cognitive bots? Answer 5: Most of the chatbots in the market today are rule-based chatbots. These chatbots follow a decision-tree logic wherein they can only answer questions in Yes/No format. There is no intelligence in them and they cannot understand any sentences that have not been pre-fed into them. Cognitive bots use cognitive APIs to interact with AI systems and can understand natural language. The user can type in a query in the same way he would talk to a human and the cognitive bot will understand him and give a relevant answer. Question 6: Is this demo built on SFB or Skype (Personal)? How difficult is it implementing these functionalities on SFB Online and Business Server 2015? Answer 6: The demo was built on Skype (personal). We can implement it on Skype for Business online and Skype for Business server on-premises. However, implementing this on Skype for Business server on-premises is complicated and many features are not available on SFB channels. Question 7: Building a bot is easy. How does your team achieve integration of different engines? For example, integration of Twilio with some other bot structure whose API endpoint is not exposed? Answer 7: The existing bot frameworks available in the market do not support every social media channel or collaboration platform. The only robust and secure way to achieve integration with platforms such as Twilio is to create middleware and connectors to overcome these limitations. Question 8: Which cognitive solution would be the best way to enhance customer service and fuel sales? Answer 8: The two primary cognitive solutions that we can think of are emotion analysis solution and search cognitive services. Emotion analysis solution can help in offering a better user experience to customers by identifying their mood and preferences. Search cognitive service can recommend your customers find your product and services. Question 9: How do you make surveillance devices/ CCTVs AI-enabled? Answer 9: With the use of advanced CCTV cameras like IP cameras, analog cameras and 3rd party sensors like equipment and environment sensors we can make your surveillance devices AI-enabled. Rest we need to visit your infrastructure and set up to understand and guide you better. Question 10: What roles currently available AI systems can take over completely? Answer 10: Cognitive AI will help in making jobs easier and data-driven. Some of the monotonous and tedious jobs that AI systems can take over completely are telemarketers, receptionists, proofreaders, market research analysts, retail salespeople, and more.